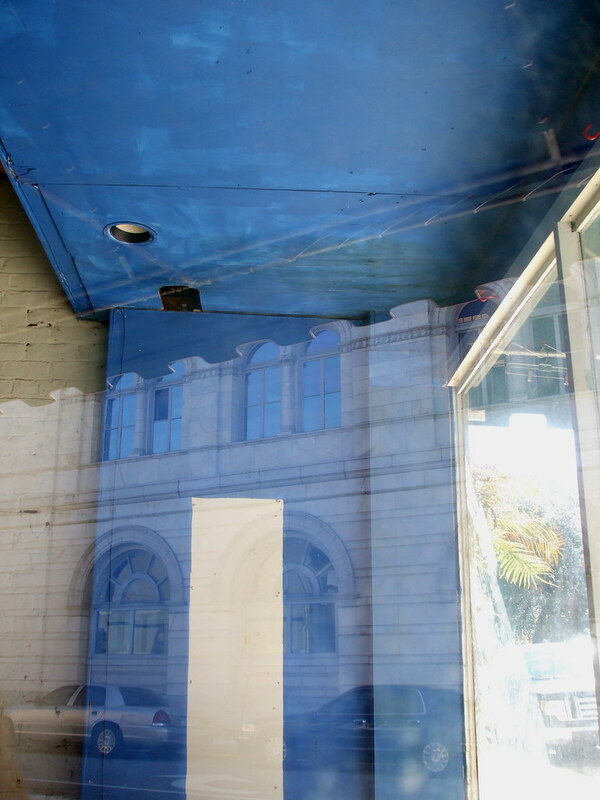 Photo Above: "Blue Storefront" by Alice Merkel. Approaches to the management of change often rely of the use of paradigms or models – lenses through which the world is seen. As the paradigms in which we think about culture and transformation have evolved and changed, so too have our approaches to organisational change. Probably one of the more useful and encompassing approaches to change is based on General Systems Theory and sees culture and organisational experience as an emergent property of a complex system. The core idea suggests that any aspect of culture that we observe arises as a result of different parts of the organisation "talking" with each other. ​The fundamental approach of those involved in "changing the culture" therefore moves from "changing things" to understanding the underlying dynamics and conversations that drive the experience of culture. "L'Image et le Pouvoir - Buste cuirassé de Marc Aurèle agé - 3" by Pierre-Selim - Self-photographed. Licensed under CC BY-SA 3.0 via Commons. Practitioners in change will normally adopt an eclectic approach and be influenced by a number of different models - at this time, the paradigm is best described as postmodernism and there are as many unique approaches to change as there are minds. One of the characteristics of postmodern culture is that it "borrows" metaphors and language from other cultures and belief systems. The result is a "Tower of Babel" reflected in language, lifestyle, spiritual tradition and media where fads come and go in the process of continually reinventing ourselves. The Role Of The Change Practitioner. As a practitioner in change, you are trying to shift perceptions about consensual reality. Change management boils down to the task of changing social memory and getting agreement on what organisational participants "see" and "experience" going into the future as well as rituals to "let go" of the past. Effectively, the change agent or change practitioner aids the organisation in becoming more conscious of itself. The focus of organisational change interventions is on facilitating certain kinds of emergence rather than planning and "making" things change. It might be useful to recall the suggestion made in many fields of study that the observer becomes an intimate part of that which is observed. Psychoanalysis also has the notion of "projection" which simply says that whatever you "see", whether good or bad could not exist unless it were inside you. The change practitioner is actually an archetypal role that is played by shaman, medicine people, storytellers and elders/leaders in traditional societies – all of these traditions demand completely honest self reflection about who you are, how you live your values and how you manage change in your life. ​How Change Practitioners See Themselves. Spend time developing a powerful metaphor for yourself as change agent – how do you see yourself? If you see yourself as yourself, you will be bringing your own biases and prejudices and "stuff" with you into the situation. Some change agents experience and talk about themselves as mechanics who see organisations as "machines" that have to be "re-engineered" and "fixed". These views suggest that the change agent is outside the system which can be measured, understood and "changed". ​ Rather, seeing the organisation as a complex system invites us to work in the system as a part of it rather than being an outsider looking in. Other ways change practitioners see themselves include midwives (who help give "birth" to the new culture), shipbuilders, navigators, pilots, programmers etc. Each metaphor has its own unique understanding of the world that derives from its unique language. Above: Ken Homer, Principal, Collaborative Conversations, and David Hodgson, discuss the value collaborative conversations brought to a nationally distributed organization seeking systemic transformation. Read, "The Power of Collaborative Conversations" by Ken Homer at I-Open Research. Appreciate The Impact of Change. Change, or even talk of change, can be fundamentally destabilising to people and impact their behaviour in many ways. It is the story that guides experience in the complex time of transition. It is important that the story of the change be powerful (both emotionally and intellectually) and be regularly reinforced; a weak story will allow organisation participants to create their own understanding of "what is going on". Clarify Core Values. Much work in the area of culture and organisational behaviour suggests the pivotal role of core values in guiding the creation of meaning, behaviour and experience. The core values become especially powerful if you encourage discussion around them and if organisational participants have been involved in their creation. Seek to evaluate behaviours through the lens of core values – are the behaviours supporting the core values? Beware The Trickster. All traditional cultures have trickster characters in their mythologies. In ancient stories, the trickster was represented by animal figures – thieving baboons, venomous snakes, cowardly hyenas and cunning jackals amongst myriad others. In the video above, Bruce Waltuck describes a small pot that contains some food, water, and spices as a simple physical system with what are complex emergent dynamics. From "A Reflection On Community Convection" at I-Open. Modern science knows trickster by other names such as chaos, risk, randomness and chance. The trickster is at work when the unexpected happens. The flat tyre, the lost cellphone, unseasonal weather etc. are all examples of the trickster at work. The trickster breaks the rules of nature and the outcomes are oftentimes completely unexpected and unintended. This is really a warning to practitioners in change who believe that they can "make" something complex "change". The trickster is always there to say that there is a good probability that you might not get what you want and there are likely important dynamics and factors at play that you have not thought about – you're only human, you know. Languageing. The way in which you talk of or "frame" an issue and your approach to it literally creates the approach. Some change language might talk about top-down (driven by management and leadership) or bottom-up (driven by the lower levels impacting in an upward direction). A systems approach tries rather to "turn up the volume" on the conversations that are already occurring and facilitate the creation of novel connections and conversations. Thus the approach is centered on all the parts of the organisation where everyone is involved and equally important - there is no preferred starting place. A complexity / systems theory perspective suggests that organisations cannot be changed according to plan or desire; instead the best we can do is to try to build new connections and relationships thereby stimulating a process of self-organisation. The focus then moves to creating a desired way forward towards desired goals and ensuring that stabilising forces do not move it away from the critical state. Change Is A Given. Change is happening and will continue to happen all the time – some philosophers suggest that we live in a "void", "chaos" or "field of information" and it is what we pay attention to and "language" that persists. Increase Awareness Of Change. Think of creating change-related structures and roles in your organisation as this can embed attitudes towards change in the organisation. Roles names could include "change agent" or "change champion", "change supremo", change agent, transformation director / manager, cheerleader and praise singer etc... Some creatively minded organisations have found great benefit by creating a space where employees create their own roles. Tell The Story. Continually find ways of reinforcing the story of change – once a certain intention or outcome has been set in motion, it is important to market this change to roleplayers on an on-going basis. This amounts to control of the story and is important in reminding people who they are, what the issues are and what is expected of them. Be Creative. You are dealing with perceptions that you cannot reliably define or measure. What is required is a metaphor that lets you understand what the organisation is "like" from both a hard analytical/rational perspective and, simultaneously, a "soft" analogical approach. The metaphor / story of "what is going on around here" is the way you create an "emotional stance" towards something and is your understanding of how the system works. Convincing others so that they see the same thing as you do is an aspect of your personal power. There are many different experiential approaches to stimulating change, creating new feedback loops and the emergence of new structures. These approaches include finger painting, Meccano®, Lego® , African drumming, storytelling performances, acting lessons, sweat lodges, fireside chats and interactive theatre among other approaches. As Plato said, "You can discover more about a person in an hour of play than in a year of conversation." The focus is to help people have conversations which they might otherwise not have had. This creates the kind of feedback that helps complex systems such as organisations and individuals become ready for their own transformation. Make The Connections. Underline the power of culture and paradigms and encourage organisational roleplayers to discover a motivating, compelling vision of a future culture. Encourage all stakeholders to take responsibiliy for change. Create cross organisational connecting points around issues of focus – these could include workshops, lunchtime talks, presentations, screenings etc. Always try to engage roleplayers from throughout the organisation; in this way, greater connectivity develops between people and encourages them to self-organise thus enabling and facilitating change to take place. Intention. Intention, or a clear idea of where we are going to is normally expressed in the "promised land" story. Ensure that the story creates a compelling vision of the future that engages people on both an emotional and intellectual level. Can participants see their role in the story? Be Creative. You are dealing with perceptions that you cannot reliably define or measure. What is required is a metaphor that lets you understand what the organisation is "like" from both a hard analytical/rational perspective and, simultaneously, a "soft" analogical approach. The metaphor / story of "what is going on around here" is the way you create an "emotional stance" towards something and is your understanding of how the system works. Convincing others so that they see the same thing as you do is an aspect of your personal power. There are many different experiential approaches to stimulating change, creating new feedback loops and the emergence of new structures. Above: Christopher Reynolds, High School French teacher (ret); adjunct Professor in Creativity Studies, Ashland University, Ashland, Ohio; musician/songwriter of 15 CD's; traditional healer with a sweat lodge and sacred pipe; and thought leader in Rites of Passage in Post Modern Philosophy, is passionate about "waging creativity" - to nurture that which is growing forth from the land, to help things to be born, instead of destroying things. These approaches include finger painting, Meccano®, Lego® , African drumming, storytelling performances, acting lessons, sweat lodges, fireside chats and interactive theatre among other approaches. As Plato said, "You can discover more about a person in an hour of play than in a year of conversation." The focus is to help people have conversations which they might otherwise not have had. This creates the kind of feedback that helps complex systems such as organisations and individuals become ready for their own transformation. Be Confident But Question The Story. Be a role model – remember to smile – exude confidence. People will be watching you and will quickly identify how confident (or not) you are. Always find ways of deconstructing the "story" of what is going on. Does the story match the reality that is being experienced? We hope this article is informative and helpful to you. We'd like to hear your stories and learn about your experiences. Please add your comment below and let the conversations begin!